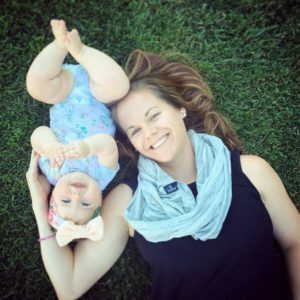 When we started lessons at our local Goldfish Swim School 2 months ago, I had a feeling my daughter would love it, but I had no idea how much she would learn in such a short period of time. Our local school has exceeded all of my expectations. From the helpful instructors to the beautiful facility, we are so impressed that we decided to extend her lessons for an additional year. Calista is 2-1/2 and started in the Mini 2 class. This class is a group class for kids ranging in age from 16-35 months, with a max ratio of six students to one instructor. Parent participation is required and basic swim and safety skills are reviewed. 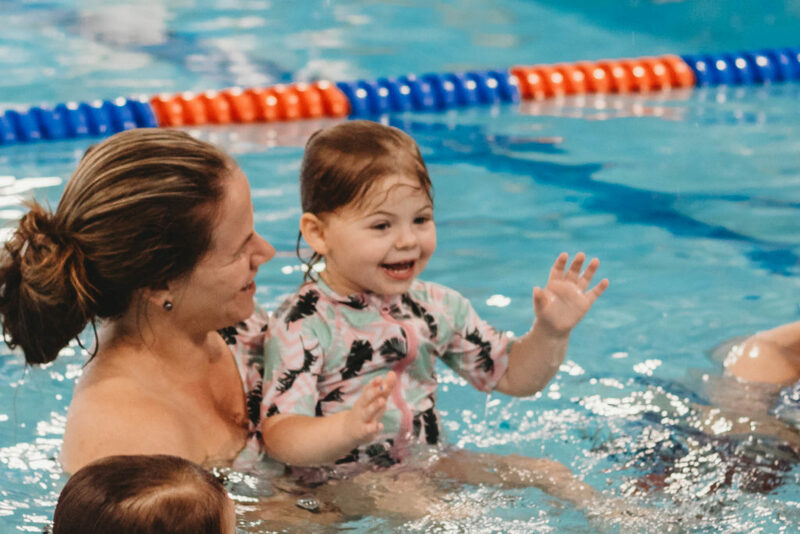 It’s a great class to help little ones get comfortable in the water and provides a fun bonding experience for parents, too. After a couple of lessons, we realized she was ready to move on to Mini 3 as she was already very comfortable in the water. This was a big step for her since this class doesn’t require parent participation. It’s the first time one of us hasn’t been in the water when she wasn’t wearing a flotation device. The ratio is 3:1, so she receives even more individual attention from her instructor. This is where she has really started to make progress. Her instructor is so patient, gently guiding her back to the lesson when she gets distracted. Even 30 minutes can be a lot to ask of a two year old. She is learning how to paddle and kick, pull herself out of the water and gladly puts her face under and holds her breath. From here there are many more levels, so she’ll be able to continue on if it’s something she truly enjoys. Lessons are offered for children up to age 12, and they even have a Swim Team for kids who are really serious about swimming. The instructors have all been fantastic. Each and every one has taken the time to learn the names of each student in the class. We are warmly greeted by the front desk staff every time we walk in. They really go above and beyond to make you feel welcome at Goldfish Swim School. It’s obvious that a lot of planning went into designing our local Goldfish Swim School facility. They really did think of everything. There are more than a dozen generously-sized changing rooms so we never have to wait to change before and after lessons. The swimsuit drying machines ensure that we don’t have to bring home soaking wet suits. There is a shower station so we can rinse off after we’re done in the pool. One of my daughter’s favorite things to do after her lesson is visit the blow-dry bar. This has been great in the winter so we don’t have to worry about her walking outside with wet hair in subzero temperatures. And if you forget to bring a diaper for after…they’ve got you covered. There is a diaper changing station, stocked with wipes and diapers of all sizes. If you have to bring along other kids while one child swims, they provide things for them to do, too. While we wait for lessons to start Calista loves to look at the fish tank. There is also a table where she can color, play with toys, draw on the chalkboard, etc. Because the wall between the pool and the parent viewing area is completely made of glass, you can easily watch everyone at the same time. Swim gear is available for purchase at the Pro Shop, so if you ever need a new suit, pair of goggles or hair brush, you can get it right there. They also have coffee and other drinks available as well as a little snack bar. Calista looks forward to a sweet treat after her lessons. 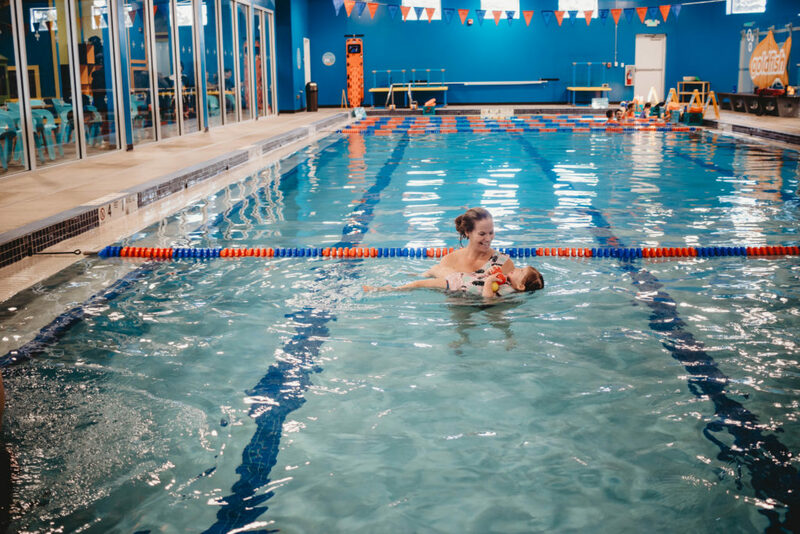 In addition to swim lessons, they also offer Family Swim events several times per week. We’ve attended a few and have really enjoyed them. It allows the whole family to be in the water, which is so nice especially in the winter months. I think it’s important that Calista have a little fun in the pool in addition to her more structured lessons. Because these events are open to the public (with a reservation), we’ve been able to invite friends and neighbors, too. Private parties are another feature offered at Goldfish Swim School. We plan to hold Calista’s third birthday party at our school this fall. Since her birthday is at the end of September, our own pool is usually closed by the time her special day rolls around. 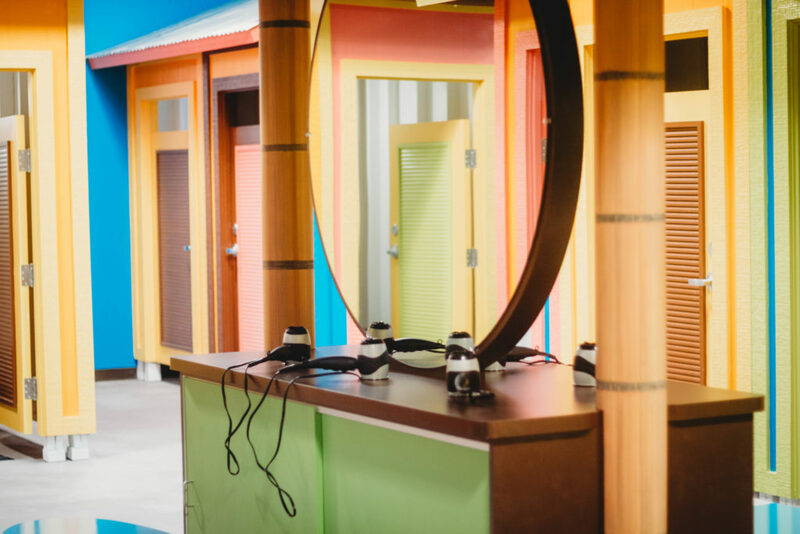 They provide 2 hours of private access to the facility, as well as invitations, decorations, drinks and dessert for all the kids. After hosting her past two parties in our home, I’m looking forward to letting someone else do the work this time around! Fun and entertainment aside, the real reason we signed up for lessons in the first place was because we wanted our daughter to learn about safety in the water. We have an in-ground pool as well as a pond in our backyard. It was really important to us that Calista be both safe and comfortable in and around water. 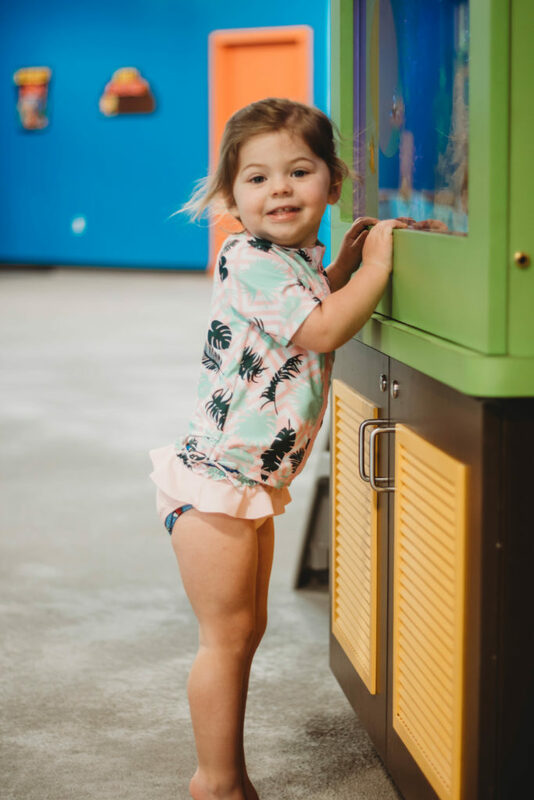 The Goldfish Swim School philosophy is all about learning these essential skills through play. A benefit I didn’t even think about was the sense of pride and accomplishment she would gain after each class. With every new skill she masters, she receives a ribbon. It’s such an incredible way to encourage the kids and boost their self-esteem. You can read more about all that Goldfish Swim School has to offer – and find your nearest school – here! 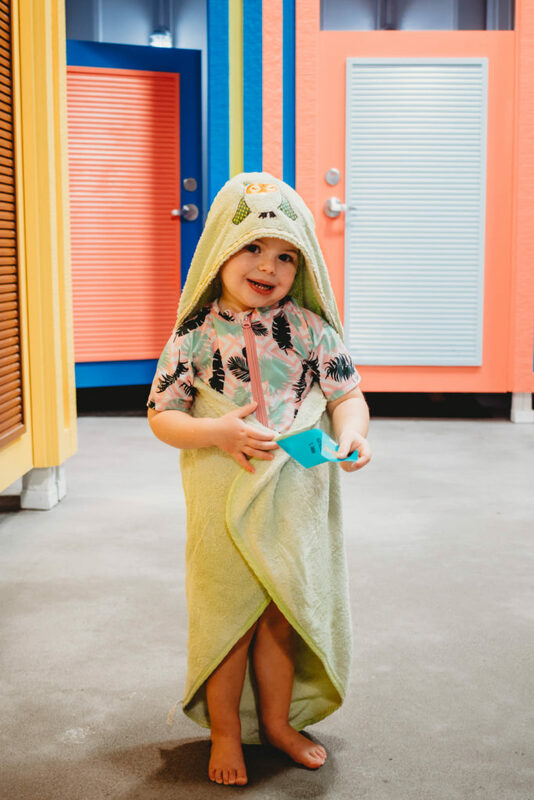 Goldfish Swim School provided us with the experience of swim lessons for two months in exchange for this blog post. All opinions are my own and our continued membership is not sponsored in any way. She looks so happy!! This looks like an amazing school!! This looks like a fantastic swim school! Learning how to swim is an essential life skill! this post takes me back to those years when my kids were tots and learning to swim..
How fun is this?! 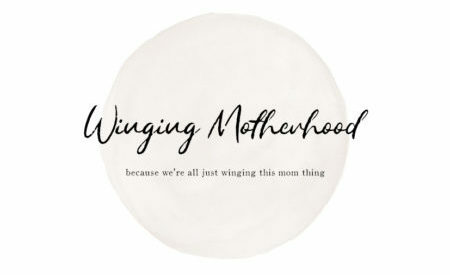 I am planning on signing my daughter up soon! This looks like a great place to learn how to swim. I have heard of it but never really looked into it. Thanks for sharing!